This incredible trail is singletrack heaven for those who like to abuse themselves on bikes. Stretching from Bear Butte in the North at Sturgis and winding through the center of the hills for over 111 miles until it reaches Wind Cave National Park, this trail gives you an excellent opportunity to enjoy the great rides at Custer State Park, as well as the fast singletrack near Sheridan Lake, Pactola Lake and near the Black Hills National Cemetery and Bear Butte volcano to the North in Sturgis. With elevation changes from 3,200 feet to 5,600 feet, this trail consists of exceptional rollercoaster sections, rugged climbs with loose rock, difficult descents, stream crossings, tight switchbacks, and some smooth portions of low prairie singletrack as well ones that wind quickly through beautiful pine trees. Rocks sticking out of the ground on this trail will require you to keep your eyes open as you zip through it. It does gets well traveled by the end of the season, so you'll even find sections where there are sand traps as well. Watch out for buffalo and elk on the trail near Custer State Park. Review: Road the North end of the trail. The portion in the trees wa great. N or Ft Meade was like a rough cattle trail, road on grass for most of it. The view was worth it. Review: Top notch ride. Perfect for breaking up a road trip for an hour and a half exhilarating pick me up! 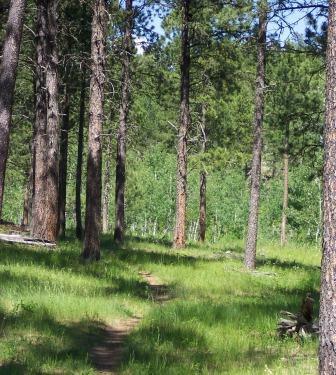 Jump on the trail from the east exit to Sturgis and head south for a stretch your legs climb and a fun swoopy single track dash back to your car! Review: Wow that is a challenging ride. Did the Tatanka, the rocks are endless, the views are spectacular, and the climbs are relentless. The mud was pretty annoying in the southern section of trail, but it is what it is. Highly recommend if you like tech trails and rocks. Review: Rose for first time in Tatanka 100 - 2015. Rode out of Mt Rushmore and to Sturgis. This is a trail that offers a bit of everything - lots of rocks and very technical in South and fast flower in North. Great climbs and descents. One of the best trails I have ever ridden! Only issue I had was with some muddy sections. Review: Rode an out and back from Alkali TH to just past Elk Creek TH, we had to make it down to the creek about a half a mile past the TH. Challenging ascents and descends with lots of chunks of rock, obviously not built for mtn biking nor really sustainable but you expect that with a trail this long. The first part of the ride was a nice long climb and we knew we were going to love the descend on the way back. There were also some other great flowy parts of the trail. Review: This is a wonderful trail system, but you have to be careful which sections you choose to ride, because it wasn't necessarily designed for mountain bikes, so it can be a bit hit or miss. For instance, the French Creek section of the trail is covered with baseball to bowling ball sized rocks, which makes riding just plain painful. The areas of solid ground you do have is pretty torn up by horse traffic. On the other hand, Alkali Creek is mountain bike heaven, with other sections of trail sprouting out all over the area. One of my favorite rides is to start at Bear Butte Lake, cross the highway over to the Alkali Creek Trailhead, and then if a 20 mile out and back isn't good enough for you, continue up Bulldog before turning back around. Other good sections are Iron Creek (a bit out of the way and very rocky, but fun), Samelius (I think I spelled that right. . .rocky and challenging, but fun), and possibly Silver City (I don't know if that's the name of the trailhead, but that's the city where it starts). The last is good either for a very short ride, or multiple river crossings, some hike-a-bike and usually a good amount of mud and wandering cows. Review: Wow! What a great trail! Yeah, climbs are long and steep, but downhills are fun. I rode only short section starting at Alkala TH and South then rode back. Deffinatelly not for beginners. I will be back to ride the whole thing. Bring enough water because I crossed a few creeks which was bone dry. Although water must be available at campground in warm season. Update. Today I rode North from Alkala TH. Stormy weather and powdery snow didn't let me go very far but I've got a lot of fun. 5 miles before I decided to turn around. Climbs are steep and unrideable with that much snow. 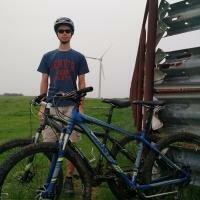 Review: I rode this trail Sept. 19 2012. I started at Badger Hole in Custer State Park and Rode down to Wind Caves National Park. 16.39 miles in just a tad over 4 hours. 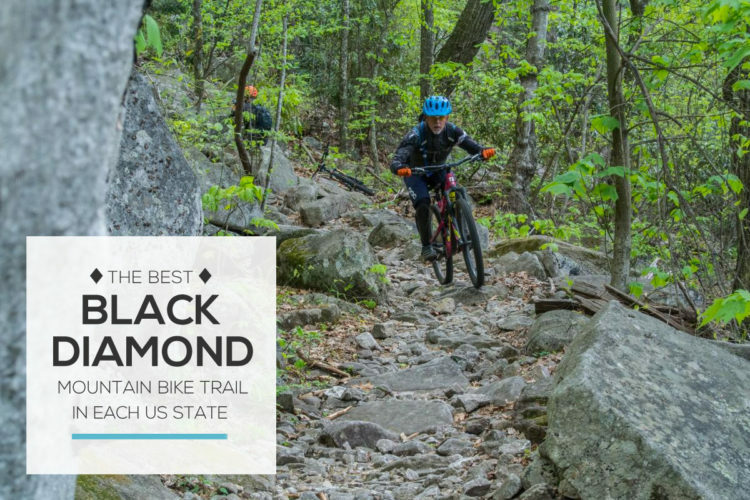 This trail features great scenery, tough climbs, steep drops, technical rocky sections, creek crossings, loose dirt and a whole lot of wildlife. I did have to climb a steep hill around some buffalo heading from Badger Hole going south to Horse Camp. Then multiple herds of deer scurried as I was flying down hill on a few other places. NOTE: You can't climb or descend everything on your bike, you'll see why in my photos. Still worth carrying the bike though. You do have to yield for horses along this trail. Best ride in Custer and had a blast! Worth the effort! 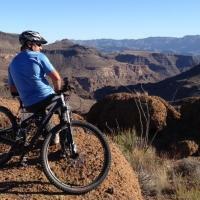 Review: bulldog i believe is what the link is referring too and this trail is awesome. fast and fun. some descent sized rocks that make it fun. straight out of a bike magazine. the black hills are great. but don't tell CO, we don't need any of those yuppies crowding our trails. Centennial Trail MTB Trail 4.64 out of 5 based on 14 ratings. 14 user reviews.